Battery life has dropped dramatically due to physical loss of the iPhone 6 battery or improper operation. When you are outside, the phone often has no power, which brings you a lot of trouble. At this time, you need to buy the iphone 6 battery. Replacing the battery can solve your problems. This is undoubtedly the best and most A cost-effective solution. Some people will choose the original iPhone battery, but we do not recommend this, because the cost is undoubtedly very high. 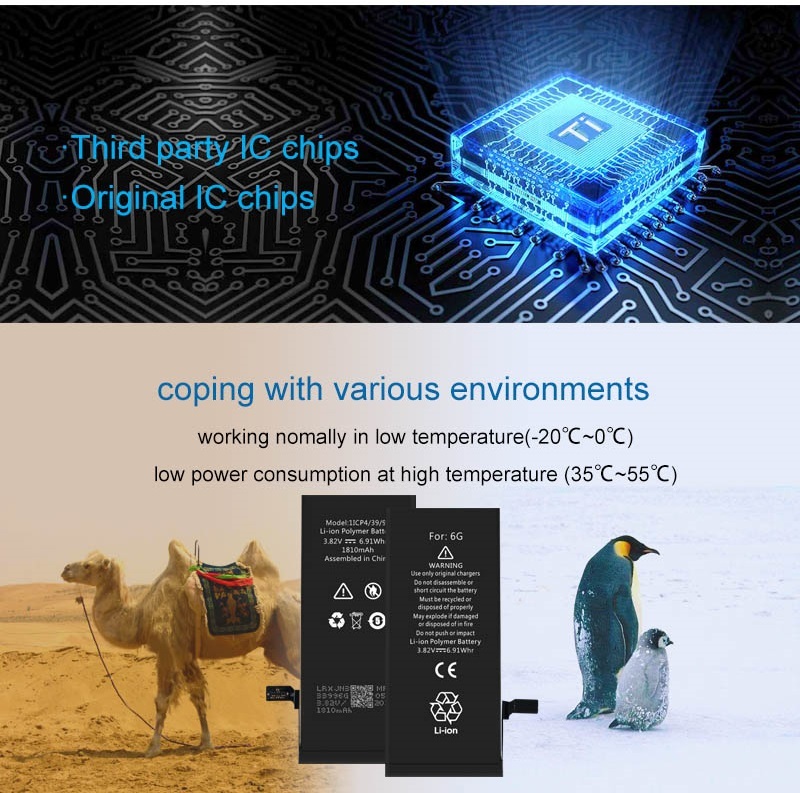 Because you can easily find high-quality iPhone battery suppliers, such as Eparts in Shenzhen, China, is a high-quality and reasonably priced mobile phone battery supplier. As can be seen from the above parameters, the iPhone 6 battery produced by Eparts is no different from the original one, and it is also guaranteed in terms of quality and safety.